BOTOX® (onabotulinumtoxinA) is part of a group of drugs known as biologics—biologic med icines are made from living things. BOTOX® is a purified protein that is made from a type of bacteria called Clostridium botulinum type A.
BOTOX® targets one of the underlying causes of frown lines and crow’s feet—the repeated muscle contractions from frowning and squinting over the years. Your provider will inject these muscles with BOTOX® to temporarily reduce muscle activity. 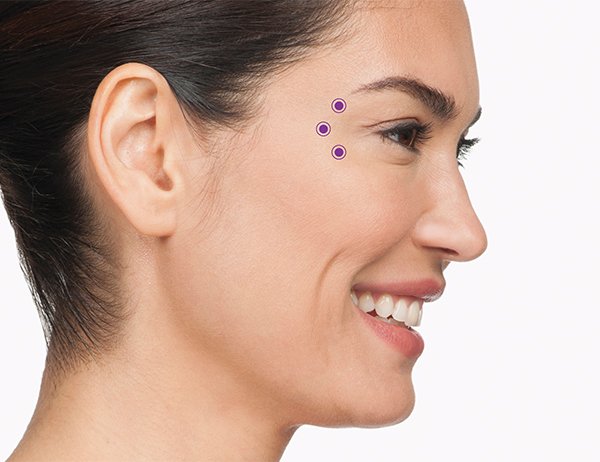 BOTOX® targets one of the underlying causes of frown lines and crow’s feet—the repeated muscle contractions from frowning and squinting over the years. Your provider will inject these muscles with BOTOX® to temporarily reduce muscle activity. 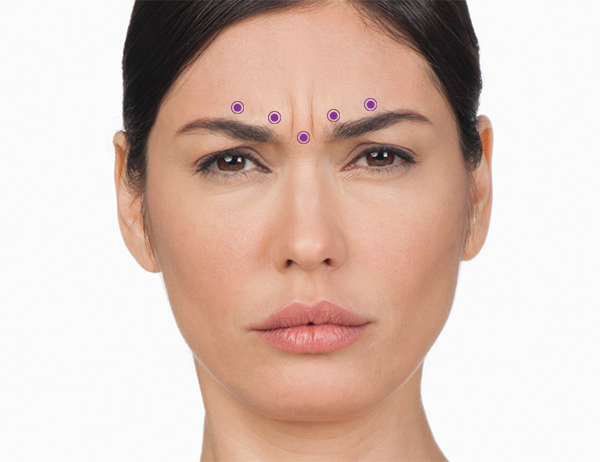 You will begin to notice a visible smoothing of your crow’s feet lines and frown lines between your brows. For the crow’s feet area, your provider will inject 3 areas of the orbicularis oculi, the muscle that frames the side of the eye. This will be repeated on the orbicularis oculi muscle on the other eye. 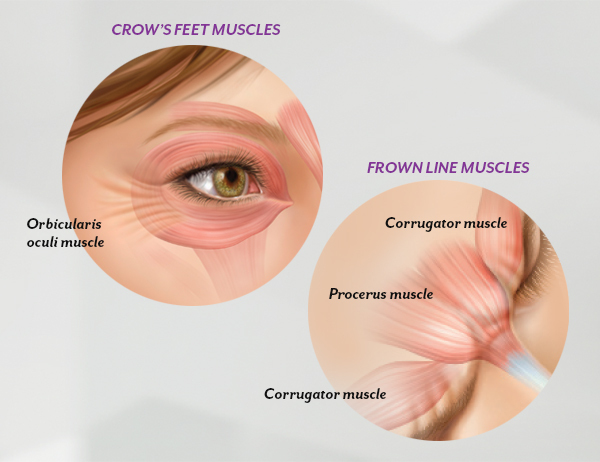 Injecting BOTOX® into the muscles that cause crow’s feet lines temporarily reduces the activity of those muscles. The result is a reduction in the appearance of those lines. For the frown lines area, your provider will administer 5 injections into muscles in your forehead, depending on the severity of the wrinkles and the patients concerns. 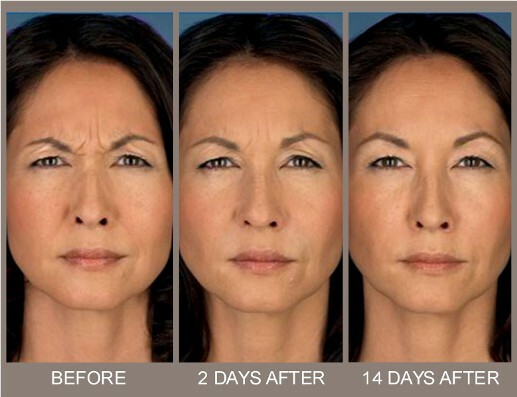 Injecting BOTOX® into the muscles that cause frown lines temporarily reduces the activity of those muscles. The result is a reduction in the appearance of those lines. Fine lines and wrinkles is something EVERY women AND MAN have to deal with during the aging process. At Sugar Land Plastic Surgery we do our best to capture your youthfulness and beauty! We also carry skin care products that can prolong the effects of BOTOX®. We would love for you to call us with any further questions, or to schedule a FREE consultation today!